Christmas shouldn’t feel like hard work, but let’s be honest, it often does. To ease any pre-Christmas tension, we thought a special treat each day may do the trick. 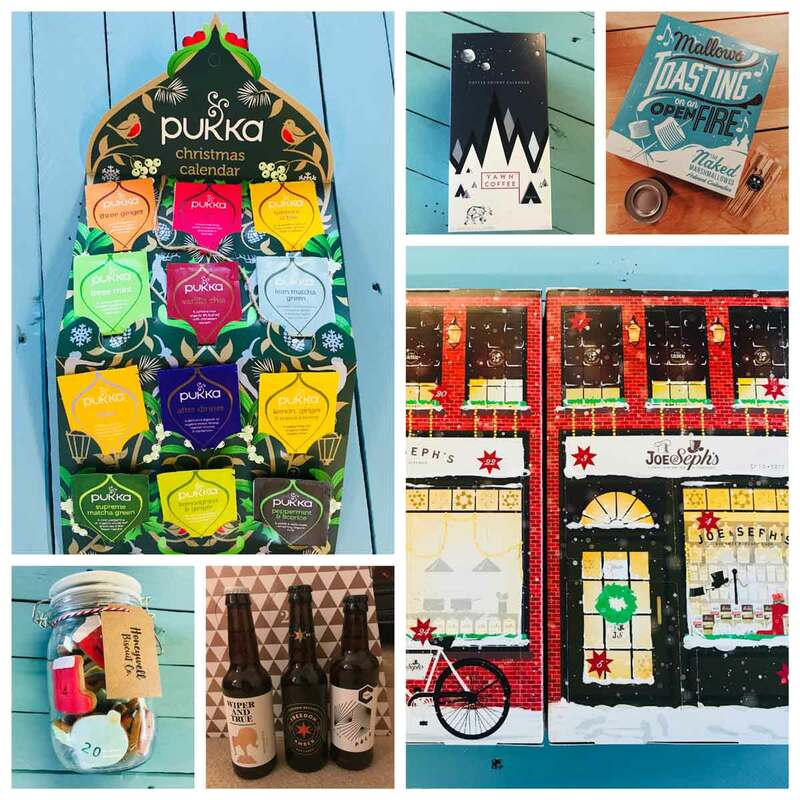 If you’re not in to chocolate, then don’t fret, we’ve done the hard work for you and sampled a variety of food and drink advent calendars. There’s something for everyone, so put your feet up, read the review and see which one best suits you. A high quality, well considered advent calendar that our taster absolutely loved. Behind each door was a surprisingly filling piece of gourmet marshmallow in a range of stunning flavours (salted caramel, candy floss, gingerbread…to name a few) and not only that – this advent comes with a burner so you can toast each one. For £15.00 we found this to be great value for money. 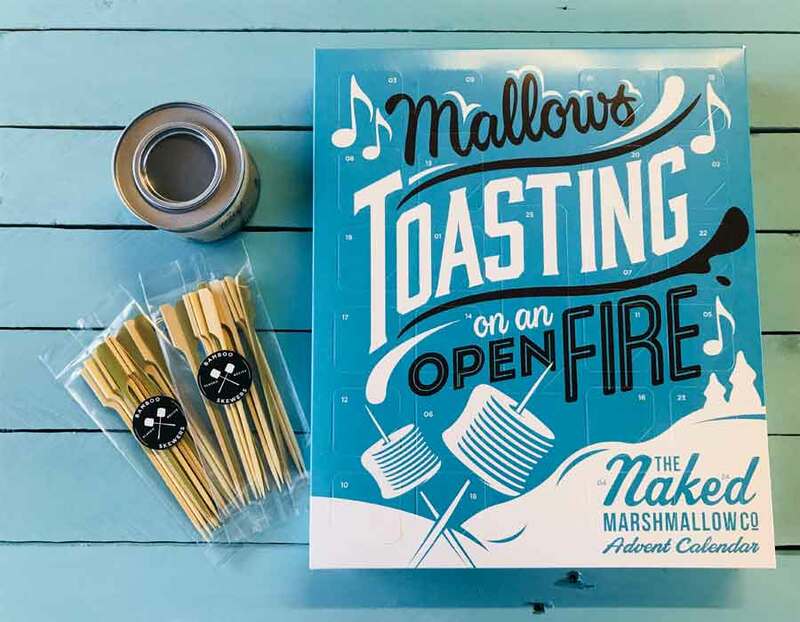 Get your friends over and enjoy toasting your marshmallows together. The perfect gift for you and your loved one….if you dare to share. Hotel Chocolat have put together a stunning selection of bite-sized chocolates with delicious festive flavours varying from clementine, gingerbread, salted caramel and much more. Beautifully packaged in white and silver, just looking at the advent conjures up the image of a snowy Christmas. Even better, each window contains two divine dome-shaped chocolates so there are no arguments over who gets the treat that day. 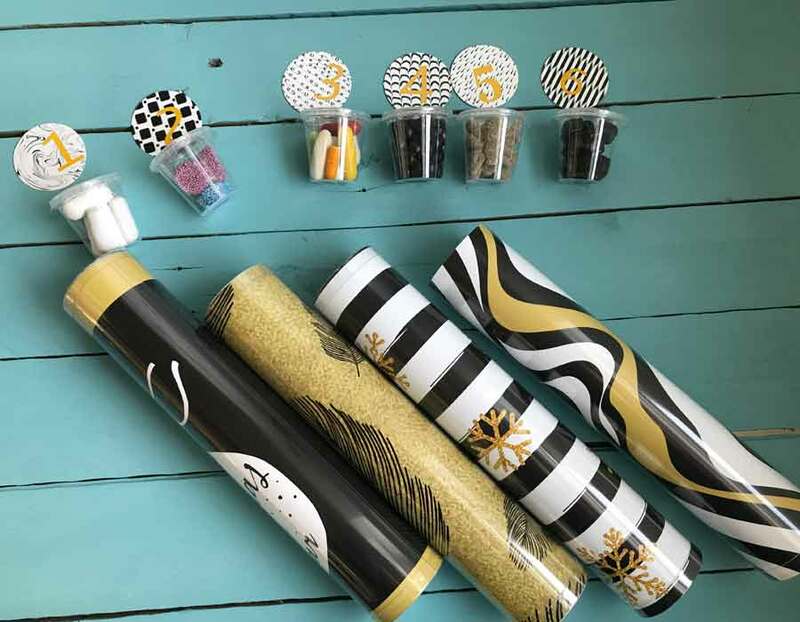 If you need that caffeine boost first thing, then this could be the ideal advent calendar for you. A stylish box complete with 24 sachets of different speciality ground coffees. We loved the aromas and amazing variations of coffee, such as Daterra Bourbon,Papua New Guinea Sigri and Indian Mysore. What we didn’t fall in love with – the delivery of the advent concept. The coffee itself is fabulous, but unfortunately the “advent feel” was not quite there. We felt more could have been made of the idea of waking up each morning in December looking forward to your new coffee experience. We’d also love to see a double version, so that people can share and compare their coffees at the same time every day. This makes a stunning addition to any kitchen at Christmas time. The hanging tree houses 24 organic herbal teas. 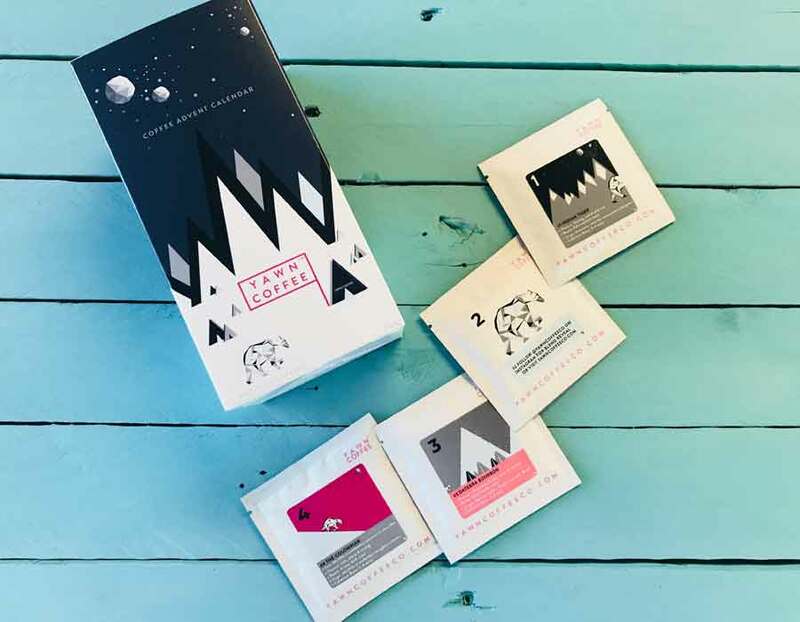 We loved the concept of have a new tea to try each day, and the fact about each tea behind the sachet was a lovely touch. 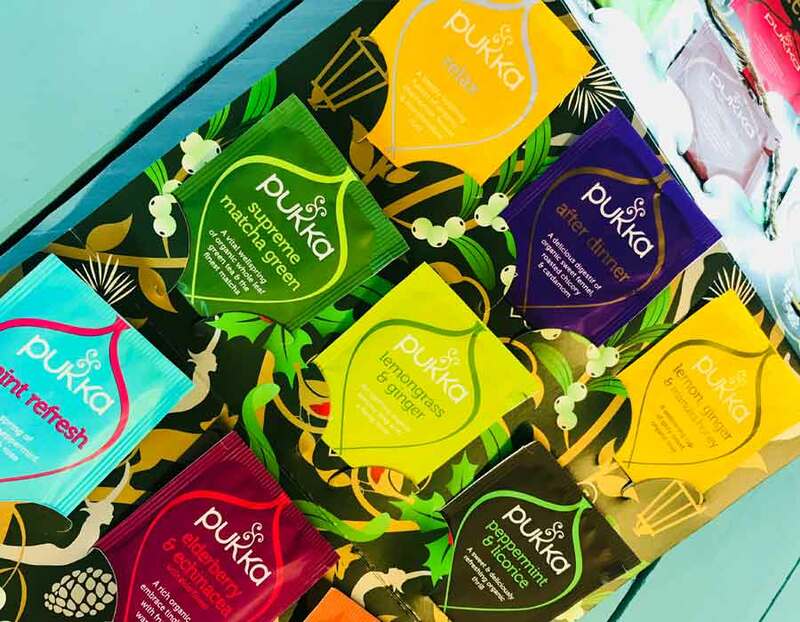 The advent includes some unusual flavours (think turmeric, matcha, peppermint & liquorice) but our taster enjoyed making her way through the advent (with a little help from family) and at £9.99 this is the ideal price point for self purchase, or a gift for any tea lover. Thanks Simply Stylish Suffolk for letting us sample this advent – it made a great addition to the advent line up, providing an option for the more ‘health conscious’ buyer. If it’s all about the ale…..
Who would not want 24 bottles of unique ales & beers wrapped up in a near 4-foot-high cardboard Christmas tree to make their way through during the festive season? 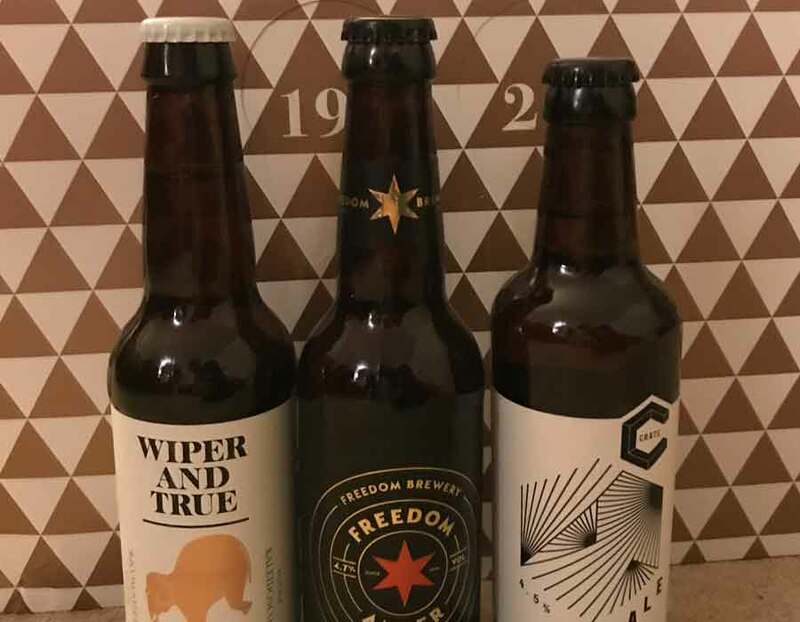 We really enjoyed the variety of the bottled beers (Beartown Crème Bearlee, Swifties Cornish lager, Stinga Organic Golden Beer) but our stand out favourite element is the sheer audacity that this advent calendar presents – we felt it really stretches the definition of calendar to another level. Not one to be hung on a wall, granted, but for £95.00 you’d expect something quite stunning and substantial. Not a cheap gift, this one is for the beer loving fanatics. When this stunning jar of biscuits landed on our desks we were very excited to tuck in. The simple, yet stylish glass jar means the beautiful intricacy of the biscuits are on full show. From Santa’s boot, snowflakes and baubles to the obligatory Christmas pudding, each numbered for the lead up to Christmas and flavoured with a hint of vanilla. 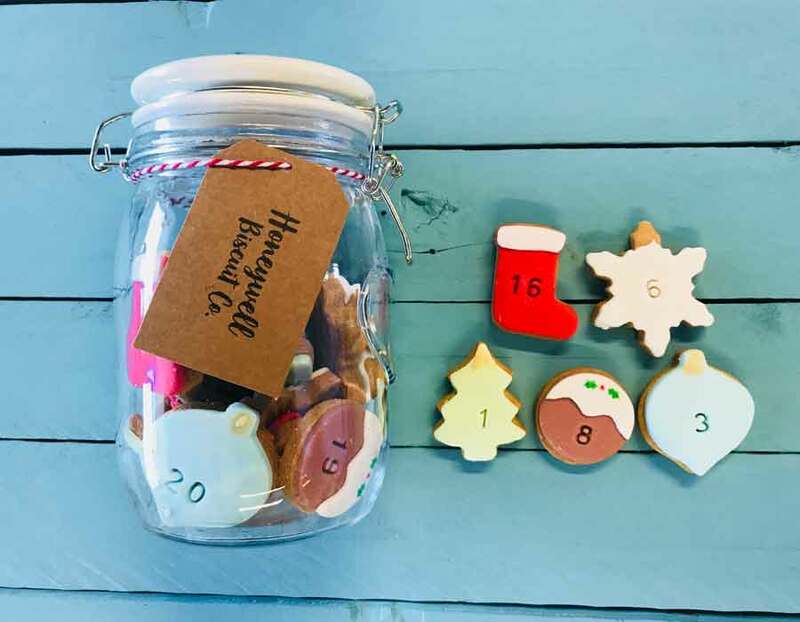 At £40.00 this advent comes with a rather hefty price tag, but if biscuits make the perfect pairing for your cup of tea, or you know someone very special that deserves a pre-Christmas treat then this could be the advent for you. If you like cooking up a storm…. 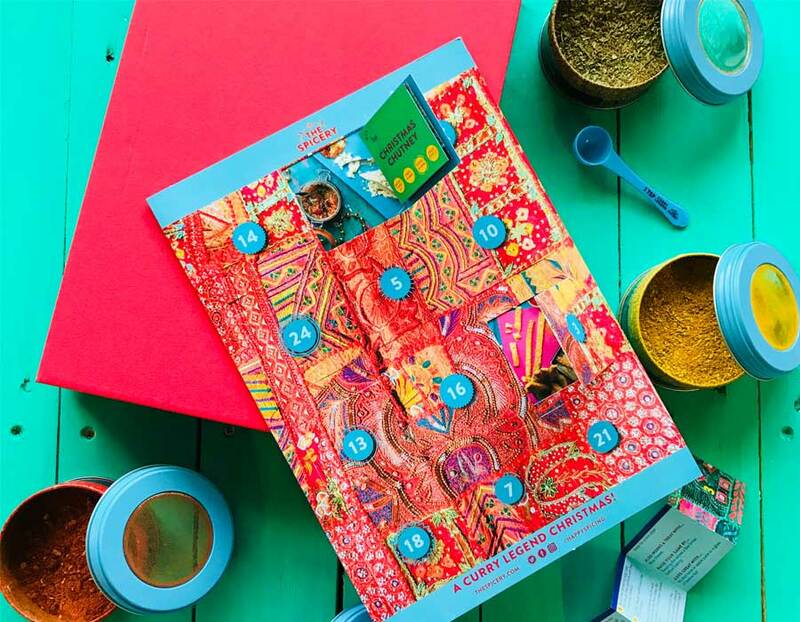 We are big fans of this spice advent calendar. 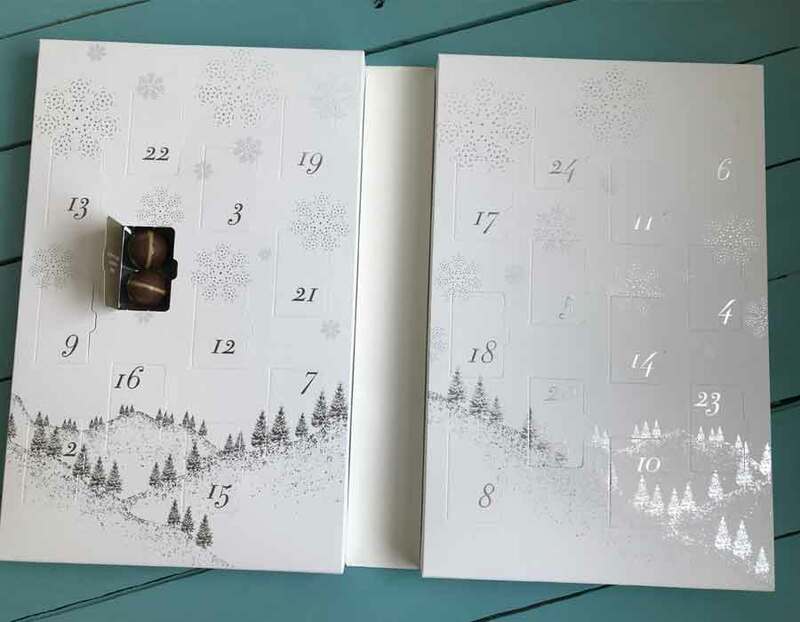 The stunning double sided advent calendar contains 24 Christmas favourite recipes, and not only that, the set comes with 4 stackable pots of spice blends, each containing enough to make all of the recipes in the calendar. Recipes include the likes of Christmas chutney, prawn cocktail, winter warmer curry – you simply need to add a few fresh ingredients. All of this is presented in a striking coloured box, making it an ideal pre-Christmas gift for someone who loves cooking. A beautifully designed advent calendar, featuring 12 amazing flavoured snack size packs (approx. 6-10 pieces per pack) of gourmet popcorn. And when we say amazing we’re talking about cookies & cream, banoffee pie and chocolate orange. Delicious. A ‘must have’ advent for any popcorn addict. 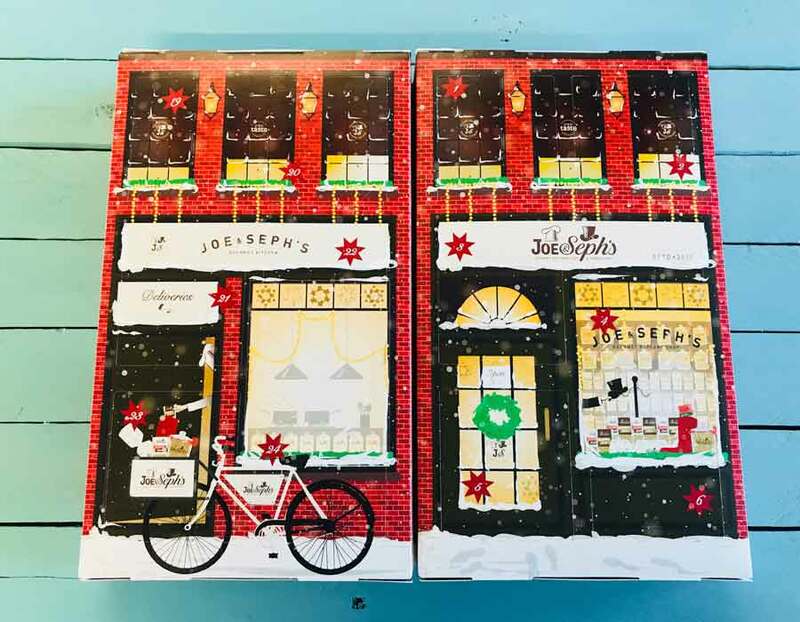 Our taster couldn’t get enough of the unique and delicious flavours and found this advent to be the perfect way to dip her toes in the delectable world of Joe & Sephs Popcorn. Bit of an acquired taste this one, but if you love liquorice, then this will be right up your street. This is not your usual ‘window’ based advent calendar, instead you are presented with four cylinders each generously loaded with liquorice treats stored in numbered pots, which gave a great sense of anticipation. At £22.00 we found it great value for the amount of liquorice, and variety of flavours (generally a much better choice than you’d find in a standard advent calendar). What we also loved about this advent – it came with a full list of ingredients for every liquorice treat. Our taster was a strict vegetarian who avoids gelatine so it was possible to see if she needed to ‘gift’ any of the sweets containing this ingredient! Space wise, you don’t have to think of somewhere to hang it, the four cylinders are very portable.